In May my husband and I spent almost 2 weeks in Africa. Too short a time, but I was there to attend a conference and was keen to get home and spend some time doing nothing. The conference was, well, a conference. Our follow-up visit to Victoria Falls was more interesting and will be the subject of my next post. 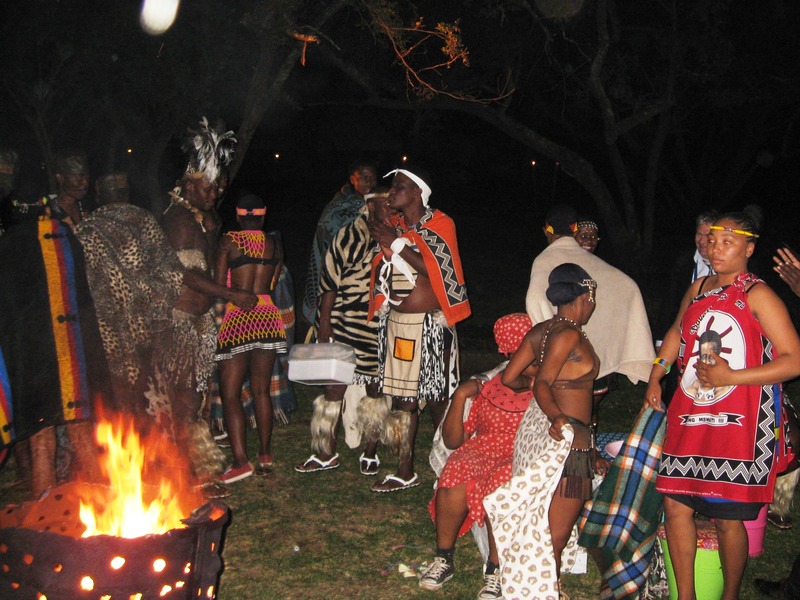 Johannesburg was established in 1886 following the discovery of gold There are no other natural features to justify its existence as a city – no river, no port, no mountain, no valley. 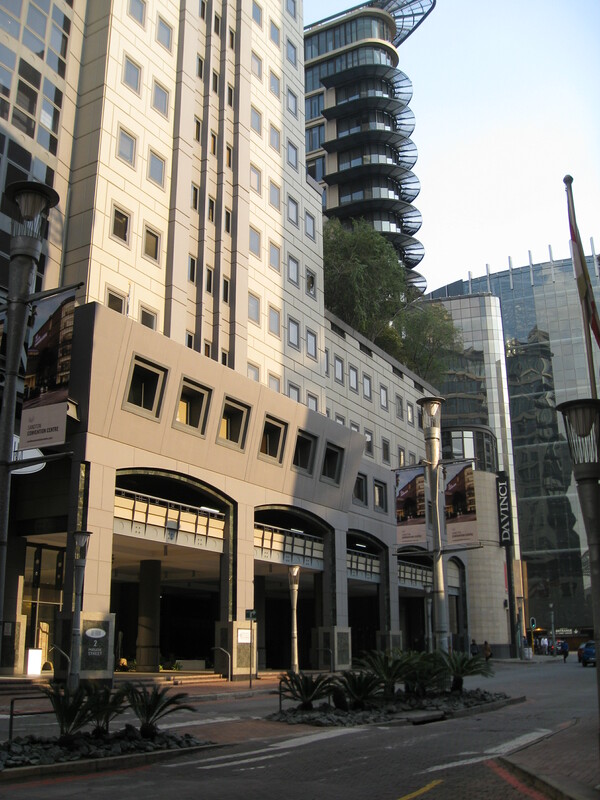 Nevertheless, it has grown over the years to become the financial capital of South Africa, with over 8 million people in the metropolitan area. The conference kept me busy for a week, which was just as well since I certainly could not afford to go shopping at the Gucci and Jimmy Choo stores in the Sandton City Shopping Centre. My husband checked out the car dealerships, as he always likes to do. 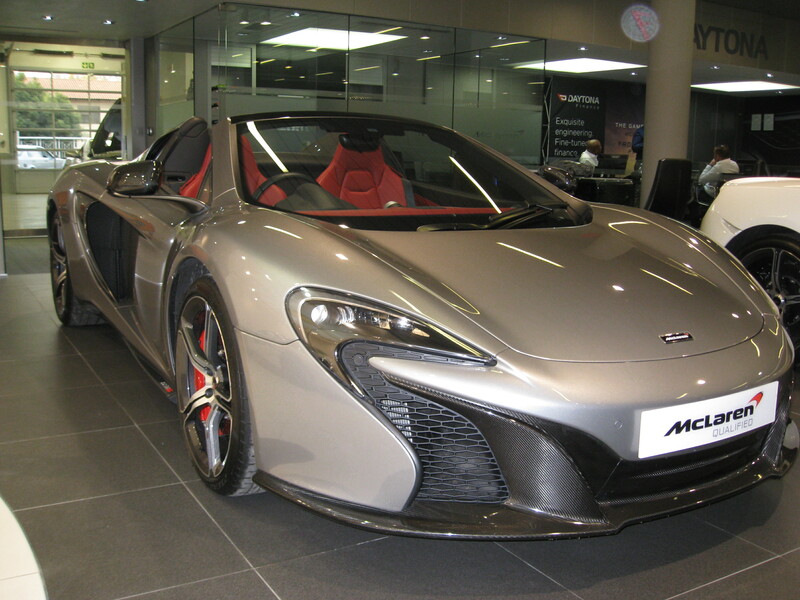 He said he has never seen so many expensive cars in one place before! It was easy to forget we were in Africa. Aside from hanging around the conference centre we did a day tour to see some technical things and drive through the capital city, Pretoria. 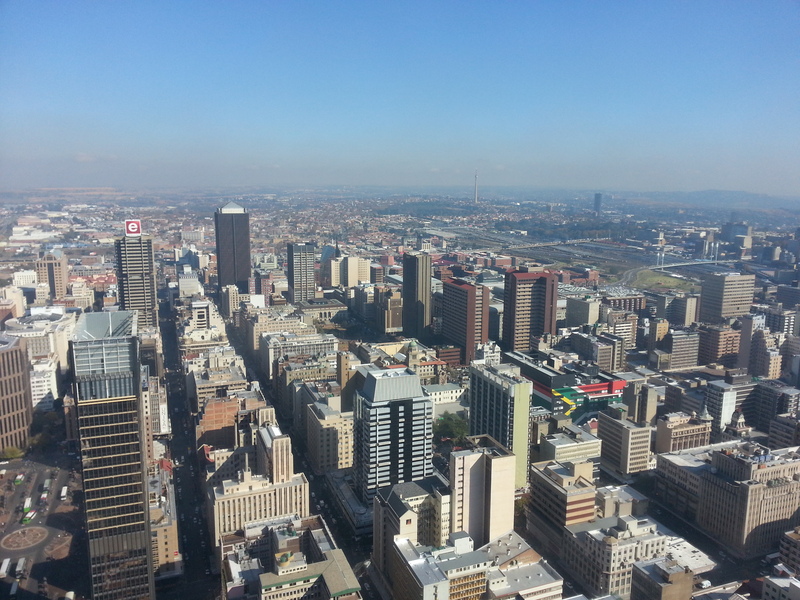 Also we did a half day tour of Johannesburg – by bus and from a viewing floor on a tall building. 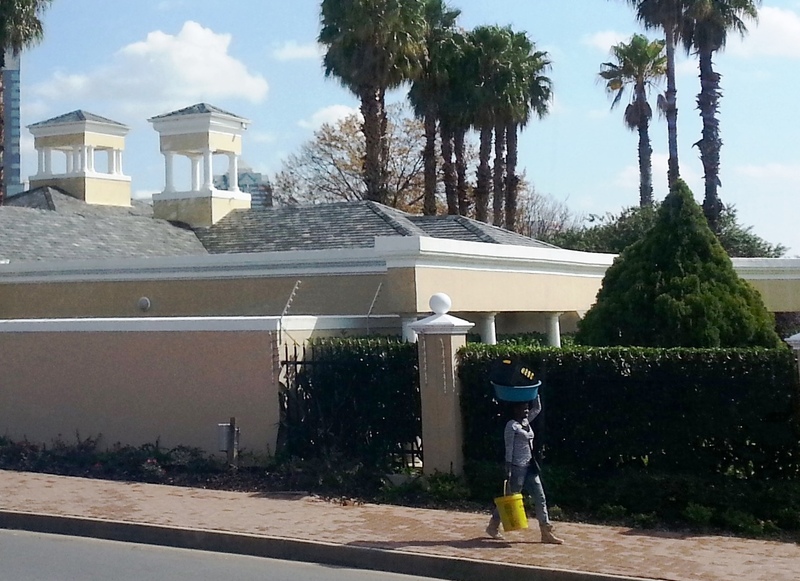 We never did walk the streets of Johannesburg, or get to see its character. Nelson Mandela’s legacy is everywhere. You can see his statue behind the young man on the right (between the striped hat head and the pigeon). 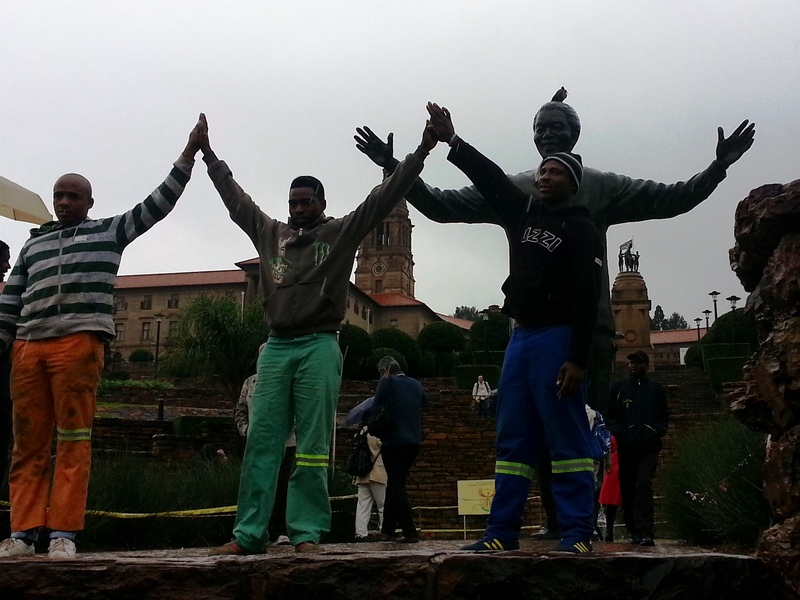 They were posing for a photo in Pretoria. The entertainment at the closing banquet was outstanding. 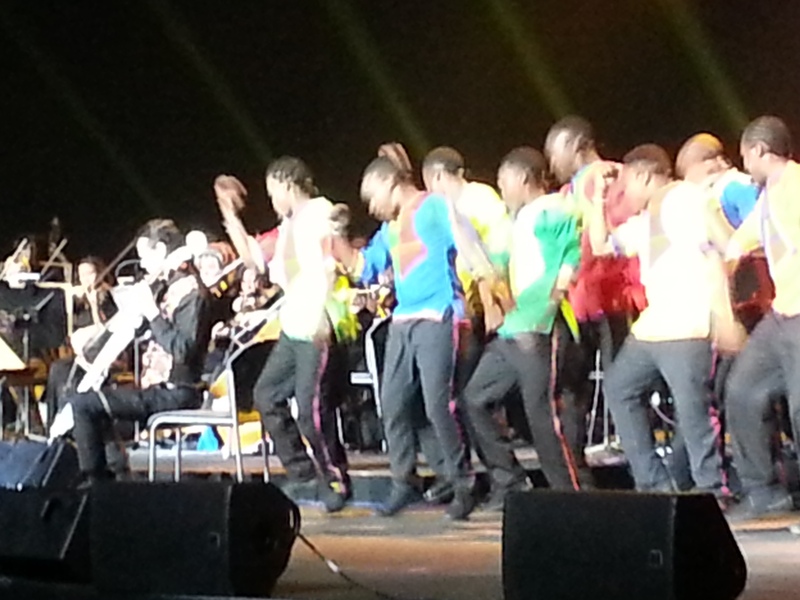 The Johannesburg Festival Orchestra combined with the Mzansi Youth Choir to create a colourful blend of African, European classical and modern pop music. It was the highlight of the week for me. 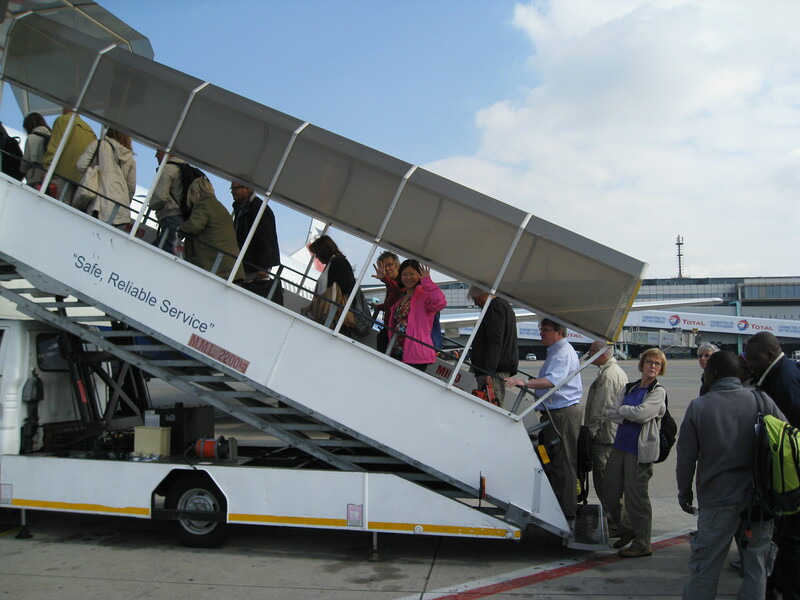 Once work was out of the way, we flew to Victoria Falls, Zimbabwe, to be tourists for just 3 days. My daughter and her husband are in Mozambique in Maputo. So very near South Africa. Can’t wait to see photos from Zimbabwe! I haven’t blogged much in recent years…but I am so happy that I did! And I enjoy your blog so much! I thought it might be you! Thanks for the clarification and for the interest. Hope you and your family are well!